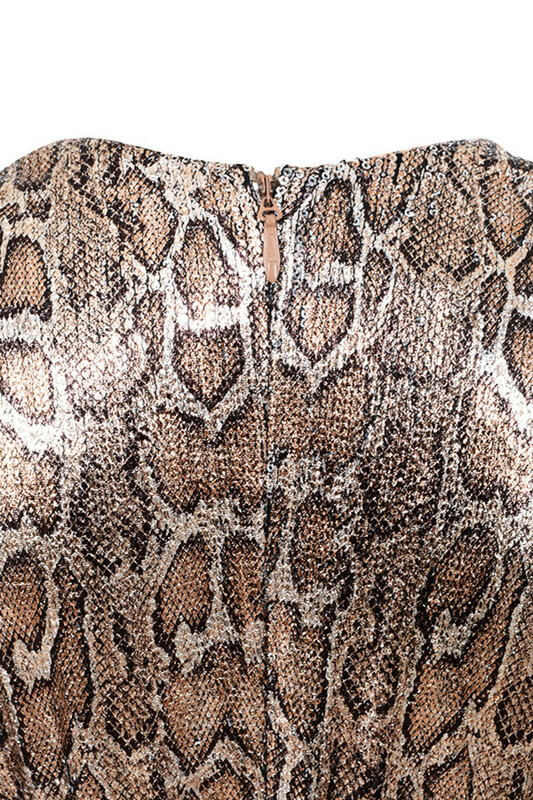 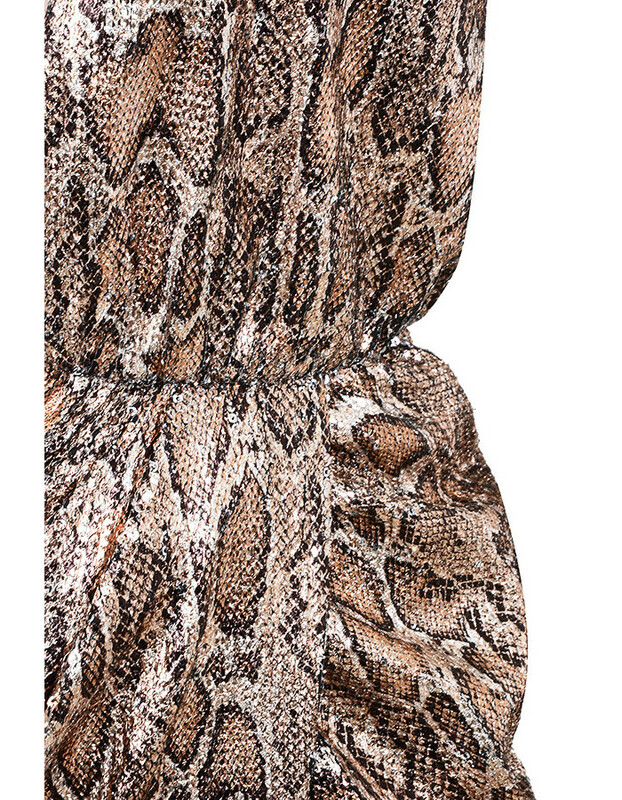 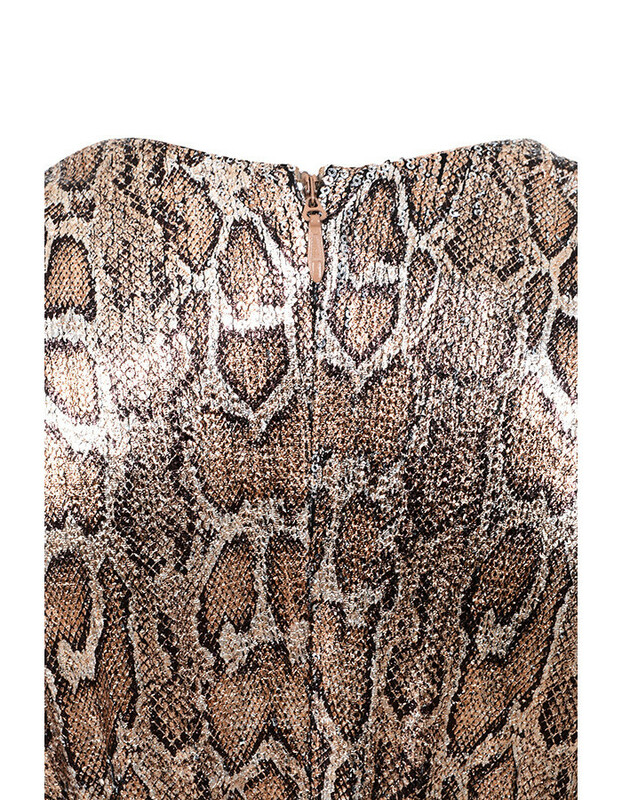 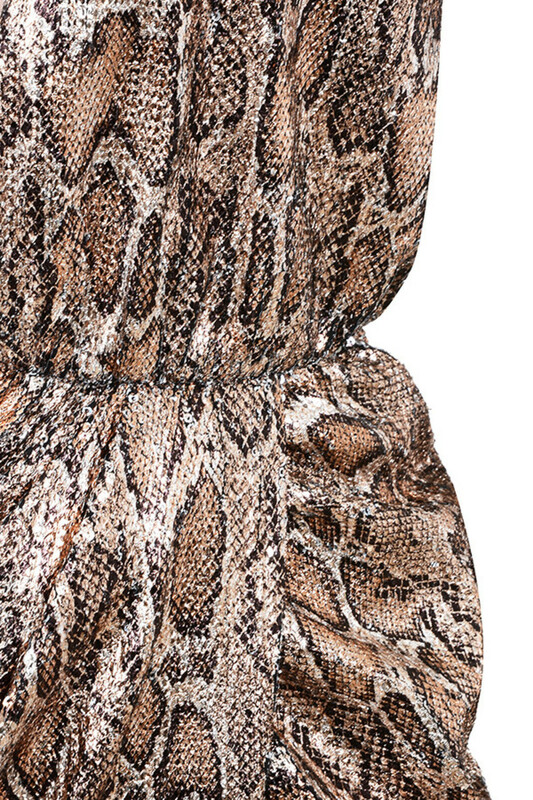 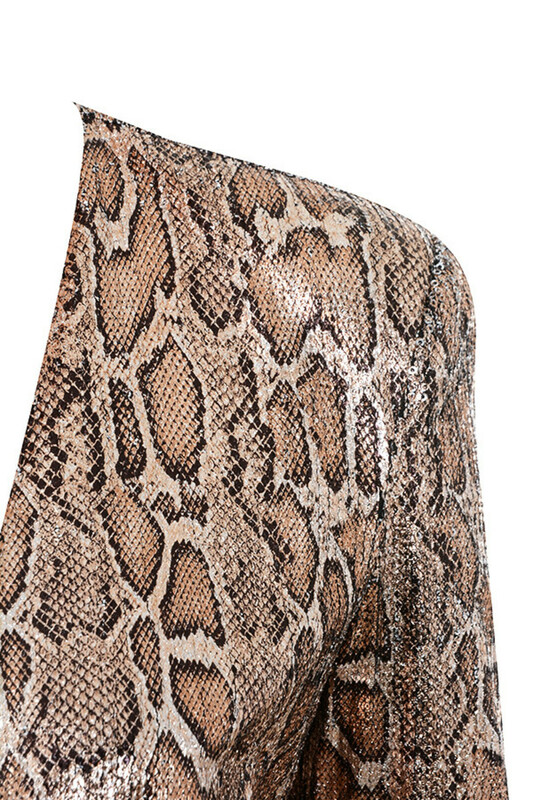 Crafted from a gorgeous sequin snake print, 'Gravity' has long sleeves, a plunge neck, nipped waist and draped skirt. 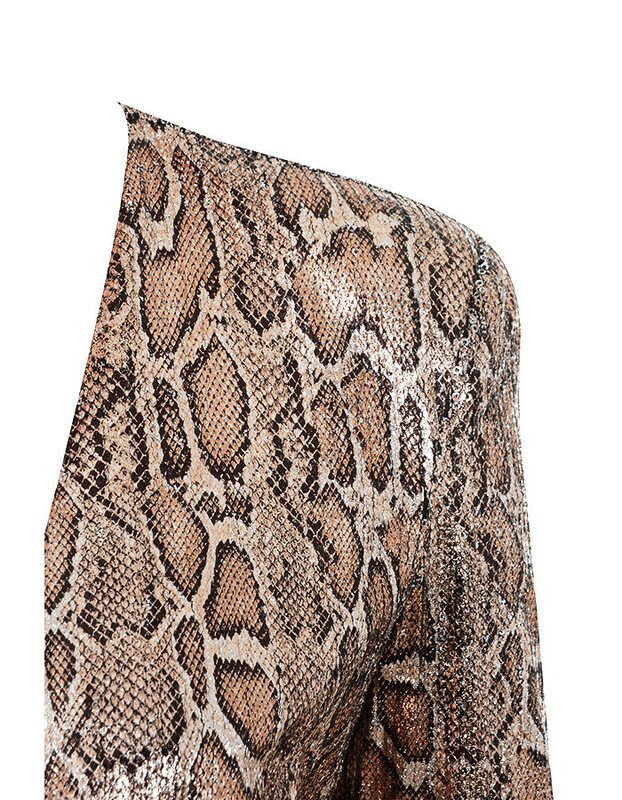 Wear yours with high pumps or thigh boots. 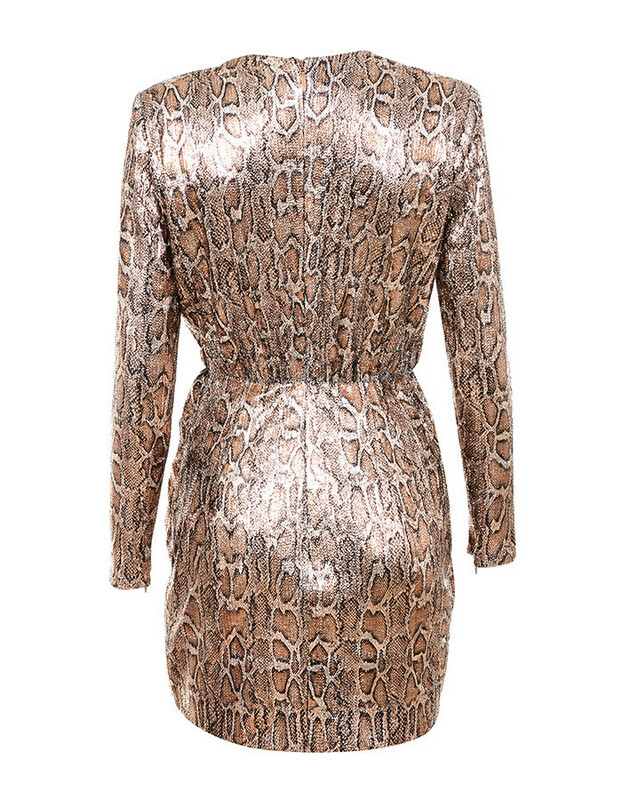 Made from sequin snake print fabric.